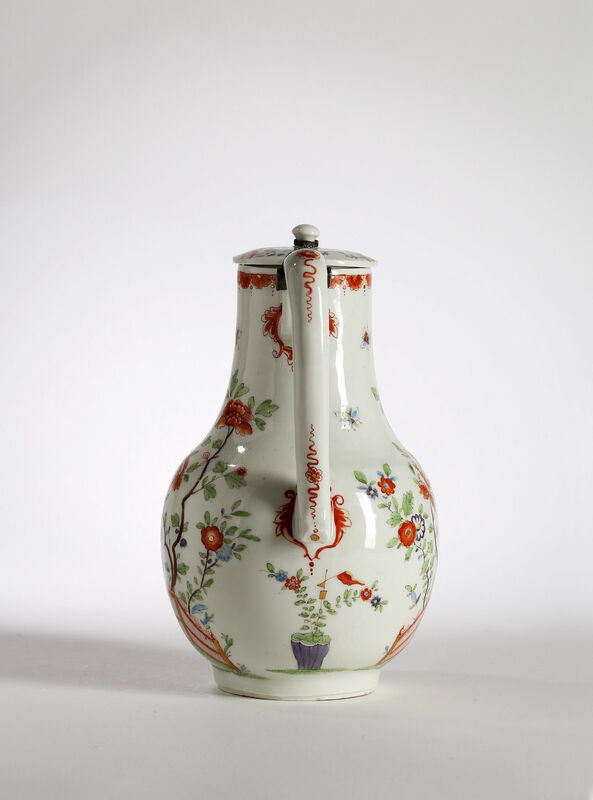 This is probably a coffee pot although related forms are sometimes described as jugs and covers in the literature. 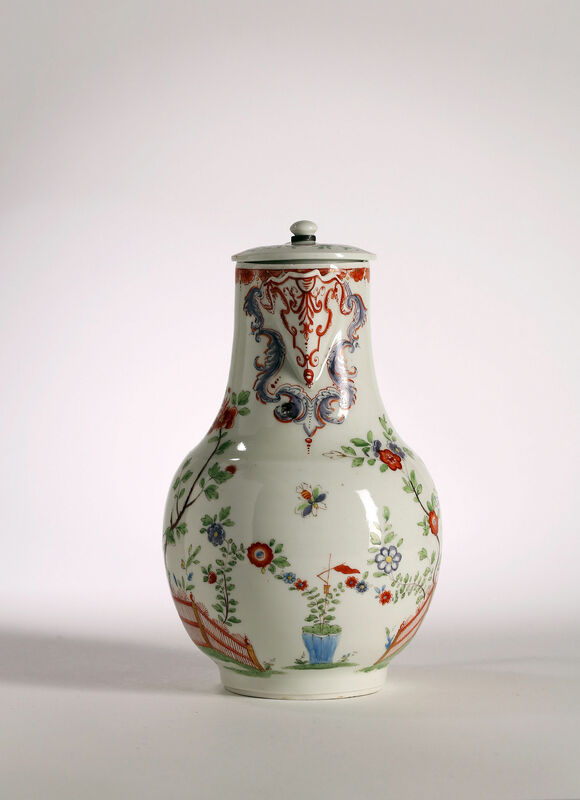 This exact shape is an unrecorded example although a closely related form decorated in an Imari palette is in The Mint Museum, Charlotte, North Carolina. 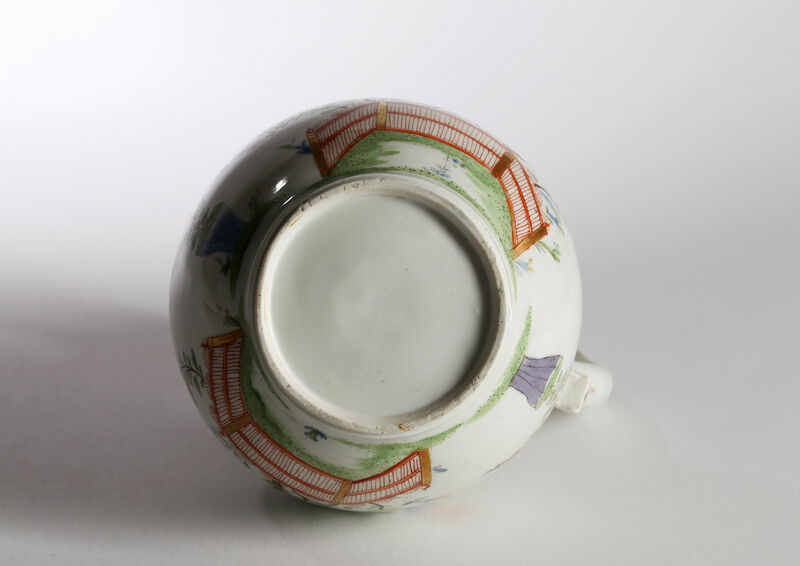 The factory started in 1719 and the earliest dated piece is from 1721, the bold but limited palette suggest that this is an early example. 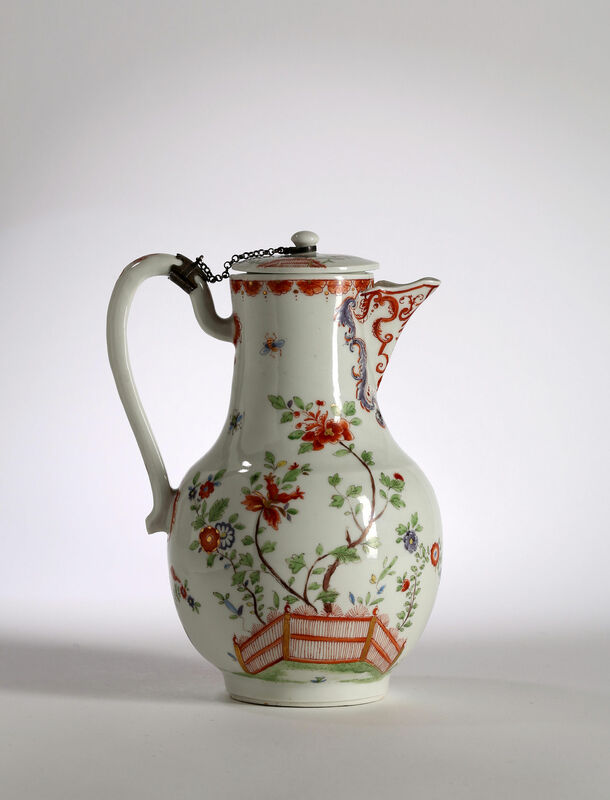 Condition – The silver chain is an old replacement, the mounts on the knop and handle are original.